Like any other small business owner, you want to see your business prosper. Besides, wise and timely business decisions are imperative to increase your business capacity and generate profit. It is understandable that any business, irrespective of the type of industry, is prone to fluctuations. Occasionally, your business may be in surplus and you want to reinvest in your business by hiring additional staff, expand to another location, add a new service or product, and grab a money-spinning opportunity. It may also be that your business needs extra money to get the necessary equipment repairs done, buy new equipment, pay for employees, or deal with any other day-to-day costs. However, to stock up your resources, you may need money from external source, which is usually challenging. If you are already exploring business funding options, then you may consider business cash advance from direct lenders online. Business Cash Advance or Merchant Cash Advance is a straightforward or reliable funding alternative to business loans from banks. It is an unsecured financing against future sales of your business. With a simple online application and approval in minutes, you can receive up to $500,000 for any business purpose in as little as one business day. Thus, it offers quick access to small business financing with reasonable requirements. 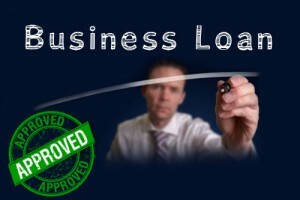 There are several reasons to avail small business financing. It may be for growing your business, deal with daily business spending or merely to have a secure financial cushion. However, you have to decide what exact business purpose you need money. You have a vast choice when it comes to choosing the loan type, as each funding option is designed specifically to suit individual business requirement. Accordingly, there are women business cash advance, business working capital, equipment financing, business invoice financing, business expansion loan, etc. You can either opt for conventional lenders or alternative online lenders. However, financing a small business is increasingly becoming difficult given the stringent lending standards by traditional lenders such as banks and credit unions. Whereas, business cash advance is the best financial option if you lack assets to pledge, want speedy approval decision, need funds quickly and desire convenient repayments. Realize that, getting approved for bank loans needs an outstanding credit score and collateral. However, eligibility criteria for the business cash advance are relatively simple and easy. With at least 6 months in business and minimum $5000 in monthly revenue or steady monthly cash flow, you can improve your chances of qualifying for funds even without collateral and excellent credit. Subsequent to narrowing down your funding option, apply for the suitable loan that suits your business needs. Depending on the type of lender, you may be asked for various document combinations. However, if you are considering merchant cash advance, you may be asked for bank statements of past three months, lease agreement or landlord contact information and credit card transaction processing statements of past three months. Finally, read all the terms and conditions carefully, understand them clearly and then sign the loan agreement.